This oversized wrought iron wall clock features an antique-brass finish with applied metal Roman numerals in a dark antique-brass finish. 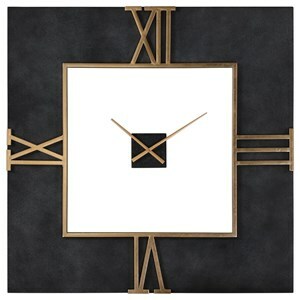 The hour and minute hands are finished in dark antique brass. Quartz battery-operated movement requires one AA battery (not included). 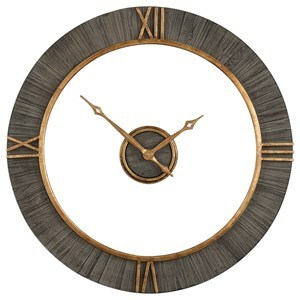 The Wall Clocks Wingate Wall Clock by Howard Miller at Olinde's Furniture in the Baton Rouge and Lafayette, Louisiana area. Product availability may vary. Contact us for the most current availability on this product. 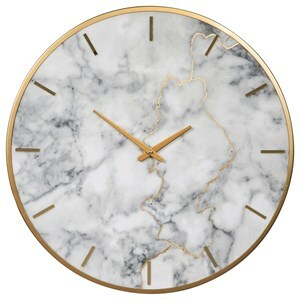 The Wall Clocks collection is a great option if you are looking for Contemporary furniture in the Baton Rouge and Lafayette, Louisiana area. 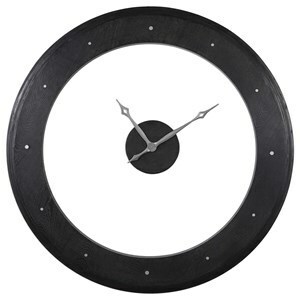 Browse other items in the Wall Clocks collection from Olinde's Furniture in the Baton Rouge and Lafayette, Louisiana area.